Hundreds if not thousands of evacuees are still in temporary quarters over the holiday. 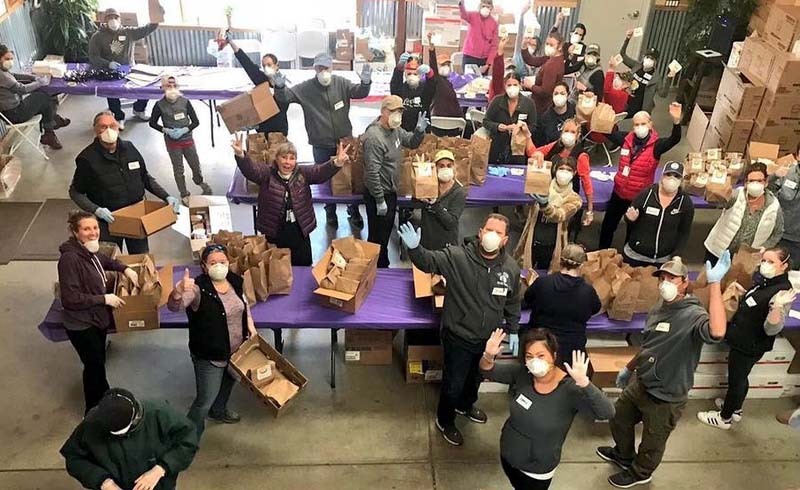 Volunteers were gearing up to serve thousands of Thanksgiving meals to survivors of the California fires Thursday. 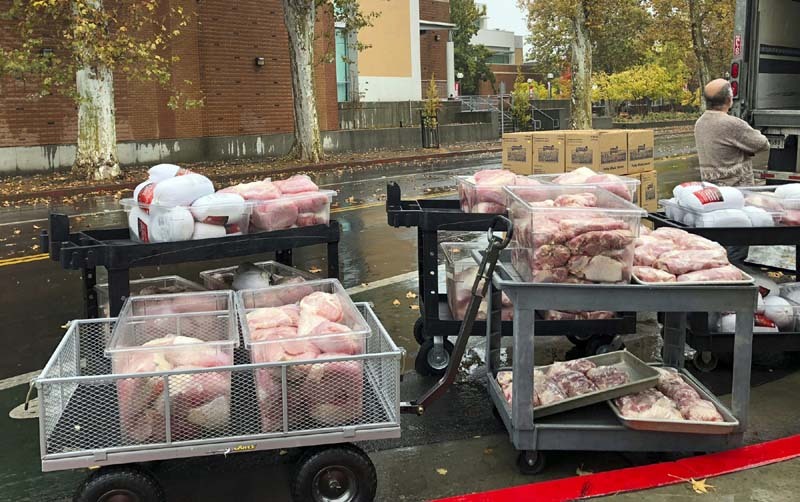 More than 500 meals were already served at pre-Thanksgiving turkey dinner Wednesday night at the Oroville Rescue Mission, where some survivors have found shelter, said volunteer Kenneth Peters. More than 50 people donated time and food, he said. "A lot of them came from way outside of the county," Peters said. Butte County is home of the 153,336-acre Camp Fire, which all but destroyed the town of Paradise, California, took out nearly 14,000 residences and killed 83. The blaze was sparked Nov. 8 and was near full containment Thursday as rains doused much of the state. Hundreds if not thousands of Camp Fire evacuees were still in shelters and makeshift campsites. The California Department of Forestry and Fire Protection (Cal Fire) reports that three of six shelters set up for evacuees are full. Starting at 11 local time Thursday, several nonprofits alongside the town of Paradise, World Central Kitchen and Sierra Nevada Brewing Co. were expected to host Thanksgiving for survivors at Chico State University. Four seating times were scheduled. Additionally, organizers will "provide evacuees at all official shelters with a Thanksgiving meal at the shelters themselves," according to a statement from the Paradise Emergency Operations Center. 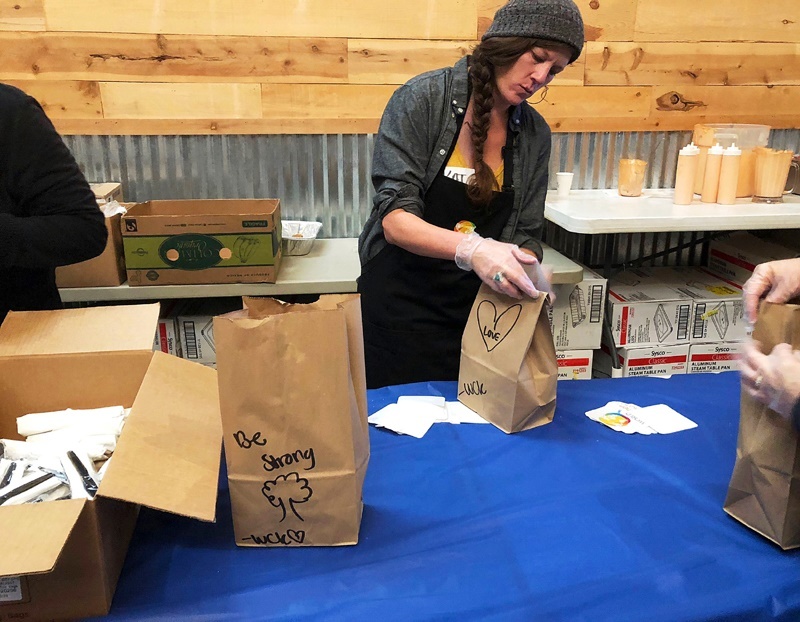 The event, "Thanksgiving Together," was billed as "a chance to bring together and bless the community through the unifying and healing power of food." Also at 11 a.m. local time Thursday, those affected by the Woolsey Fire in Malibu and neighboring Ventura County were scheduled to be treated to a "Malibu Strong Community Thanksgiving" sponsored by the City of Malibu, Malibu Chamber of Commerce, Malibu Jewish Center & Synagogue, Malibu United Methodist Church and Pepperdine University, where the event is slated. Southern California's Woolsey Fire, now 100 percent contained, also started Nov. 8. It consumed 96,949 acres, took out 1,500 structures and killed three, Cal Fire officials stated.